Product categories of Gas Spring, we are specialized manufacturers from China, Gas Spring, Stretching Gas Spring suppliers/factory, wholesale high-quality products of Office Furniture Gas Spring R & D and manufacturing, we have the perfect after-sales service and technical support. Look forward to your cooperation! It consists of the following parts: pressure cylinder, piston rod, piston, sealing guide sleeve, filler (inert gas or oil and gas mixture), cylinder and cylinder control element the control element (of a controllable gas spring) and joint. Principle is in the closed pressure cylinder filled with inert gas or oil and gas mixture, the cavity is higher than atmospheric pressure several times or dozens of times, the cross-sectional area of the cross-sectional area of the piston rod is smaller than the piston to produce pressure difference to achieve the movement of the piston rod. Due to the different fundamental principle, the gas spring than ordinary spring has the advantages of obvious: speed is relatively slow, dynamic force changes little (within 1:1.2), easy to control. The relative disadvantage is no small volume spiral spring, high cost, relatively short life. Unlike the mechanical spring, air spring has a nearly linear elastic curve. X between elastic coefficient of the gas spring 1.2 and standard 1.4, other parameters according to the requirements and conditions of flexible definition. According to the characteristics and applications of different gas spring, also known as the supporting rod, air support, recliner, pressure rod, dampers etc. according to the structure and function of the gas spring to classify gas spring free type gas spring, self-locking gas spring, pull type gas springs, random stop gas spring, gas swivel chair spring damper, pressure rod,Self Locking Gas Spring,Auto Gas Spring,Industrial Gas Spring, Groove Gas Spring,Stretching Gas Spring,Office Furniture Gas Spring, etc.. Several products in the automotive, aerospace, medical equipment, furniture, machinery manufacturing and other fields have been widely used. 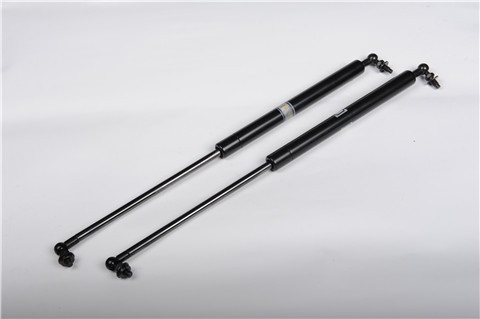 Gas spring is a kind of lifting spring can be labor-saving, can be divided into self locking gas spring (such as the bottom of the lifting seat backrest, boss chair, etc.) can not be self locking gas spring (lifting support such as car trunk, closet doors), the structure of the gas spring is mainly composed of a sleeve, a piston and a piston. Bar, with a high pressure air or high pressure nitrogen in the sleeve, due to the pressure difference between the ends of the piston area ranging, push the piston and piston rod movement and support people or objects. Quality evaluation of a gas spring quality mainly from the following aspects: first is the seal, if good sealing will appear in the process of using oil spills, leakage and other phenomena; second is the precision, such as the need to 500N the gas spring force, some manufacturers out of the error is not more than 2n, some manufacturers of the products may and the actual needs of the 500N is quite far; again the use of life, the life of its fully retractable count; the last is in the process of the force value change, gas spring under ideal condition should force values remain constant throughout the trip. But due to the factors of design and manufacture, the gas during the spring force value inevitably changes. But the magnitude of change is an important criterion to measure the quality of the gas spring, the magnitude of change is small, the better the quality of the gas spring, and vice versa Worse!